The concert in Oklahoma was initially supposed to go on anyway. The Backstreet Boys were forced to call off a show in Oklahoma on Saturday after a sudden storm blew through the area and injured 14 fans waiting in line outside the venue. The concert, held in tandem with fellow late-'90s boy band 98 Degrees, was being held at an outdoor stage at the WinStar Casino and Resort in Thackerville, Oklahoma, near the state's southern border, and about an hour north of Dallas. 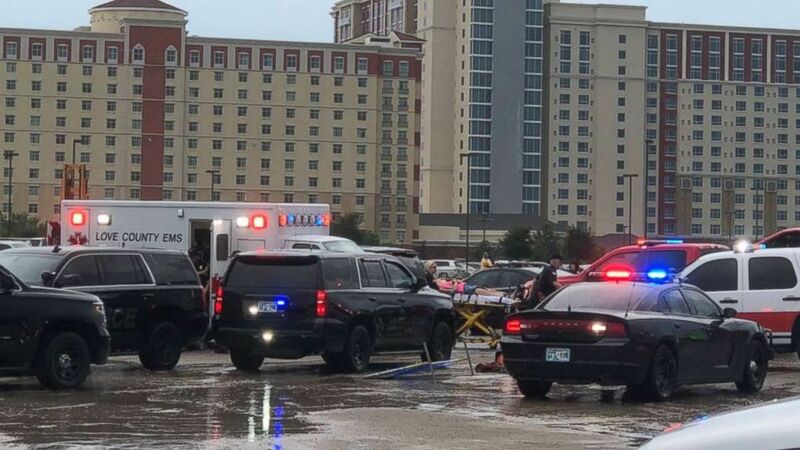 According to the venue, officials began evacuating the area after observing lightning within four miles of the casino. "All patrons in the area were asked to move and to seek shelter from the storm," the casino said in a statement. "However, about 150 patrons who were standing in line for the Backstreet Boys concert did not heed staff’s warnings." (Sydney Stavinoha) A concertgoer is loaded into an ambulance after being injured by a storm while waiting in line for a Backstreet Boys concert in Thackerville, Oklahoma, on Saturday, Aug. 18, 2018. The storm knocked down "entrance trusses" due to 70 to 80 mph winds and injured 14 people, according to the casino. The injured concergoers were treated at the scene and taken to the hospital, with two being released almost immediately. WinStar officials initially tweeted at a fan that "the show will go on rain or shine." However, at 6 p.m. local time, about a half hour after the storm hit, the band tweeted from its official account that the concert would be cancelled and they would "attempt to reschedule." The official 98 Degrees account also issued an apology on Twitter, saying, "We are disappointed that tonight's show was cancelled due to inclement weather. We know many of you traveled to be here today. Sending you all our love and hope to see you soon." 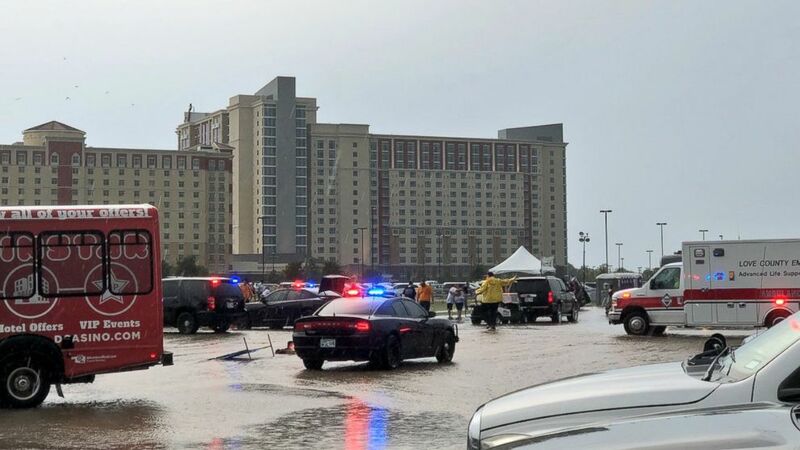 "We know that fans often suffer through inclement weather for their favorite acts, but this was an unusual event and our thoughts are with those who were injured during this storm," the casino said. (Sydney Stavinoha) Fourteen people were injured when a storm hit in Thackerville, Oklahoma, where fans were awaiting a Backstreet Boys concert on Saturday, Aug. 18, 2018. The Saturday night show was to be the Backstreet Boys' final show before they begin a residency at Planet Hollywood in Las Vegas in October. Weather wreaked havoc on another concert in New Jersey on Saturday evening. The "Trip Around the Sun" tour, featuring Thomas Rhett and Kenny Chesney, at MetLife Stadium was briefly evacuated after storms rolled through the New York City metro area. The concert was eventually held though, and no one was injured. ABC News' Brendan Rand contributed to this report.